Is it your University's policy to collect and store Disability information in Student CRM? If so, it can be collected in any of your Data Harvesting web forms (Enquiry, Prospectus Request, Mobile Event Capture, Open Day booking form, etc). Where does this list comes from? It is the list of codes that HESA uses. With the introduction of the Disability Equality Duty, and on the recommendation of the Equality Challenge Unit (ECU), HESA has introduced a version of the coding frame introduced by the Disability Rights Commission (DRC). Why might we want to collect it at this stage? The information is collected to permit disability-based analysis; for monitoring levels and trends in participation by particular groups of people; to monitor take-up of Disabled Students' Allowance as Disabled Students' Allowance is now not means tested; to support the allocation for disability premium; to permit analysis based on type of disability. NB: Some forms currently collect a simple 'yes/no' answer to the question: 'Would you like more info on disability?' This can then be used to send back more info to those who answer 'yes' by using the conditional text in the touchpoint template. Sometimes this information is used to discuss the specific requirements (ie: access to an event) with the student before they arrive. You are invited to join Data Harvesting for lunch at our hosted table on Tuesday 22nd March 2016 at 12.25pm at the UCAS Annual Admissions Conference, Celtic Manor, Newport. If you'd like to accept, just complete your details below. We look forward to dining with you. Time is of the essence when capturing and communicating with student leads. During a recent load test of our Mobile Event Capture app we uploaded 300 student leads captured at 2 different event locations onto 3 iPads, in just under 14 seconds. That's 1,285 per minute. Or over 77,000 per hour. All 300 records were successfully synced into Student CRM, ready for automated responses and follow up broadcasts. You can be confident that your student leads can be simultaneously captured on many different iPads at separate recruitment events (with no WiFi). After the event, or whenever WiFi is detected by the iPad, all your leads are safely synced into Student CRM for you. "Capturing data at events has never been easier." How do you capture your international student data? Improve the way you collect data at international recruitment events with the latest technology, DH Mobile. Our popular app, DHMobile, is the first iPad app of its kind created specifically for leading universities to capture student details at busy recruitment events. Students simply tap their details into a branded form on your iPad and their details are added to your Student CRM database and automatically followed up to build the relationship. City University London use DH Mobile at their international recruitment events to improve the quality of data gained and start interacting and communicating with prospective students almost instantly via a series pre-scheduled workflows. Book to see DH Mobile in action. Thank you! We'll be in touch soon to discuss using DH Mobile to capture student details. Data Harvesting, home of Student CRM, is exhibiting at the 22nd Annual Admissions Conference at the Celtic Manor Resort in Newport, Wales from 21st - 23rd March 2016. We've got exciting new app launches set to change the way you interact with students, a new look and more enhanced features than ever before. If you'd like to enhance your student recruitment, improve student communications and have better insights into prospective students then come to our lime green stand to talk to one of our team. Look forward to meeting you there! Thank you! We'll get back to you to confirm your appointment. Data Harvesting, home of Student CRM, is exhibiting at UCISA16, the premier IT event for UK universities at Manchester Central from 16th - 18th March 2016. If you've got any questions about the future of technology, tracking, BI, reporting, data security and analysis then we'd like the opportunity to chat with you. If you'd like to pre-book a quick chat with one of our team please complete the form below, if not, just look for our lime green stand, number 92. Thank you! We'll confirm your appointment shortly. Here at Data Harvesting we form a lasting partnership with customers during setup, training and implementation. We are constantly in touch with phone calls, screen-sharing and update meetings. The progress of the entire project is fully managed and clients know that the CRM Support Team is only a phone call or ticket away throughout the whole of the contract. Our live Love-o-meter displays all our latest testimonials from client support tickets, which currently stands at an impressive 98.4%. "The support team at DH set them and their product apart. Having them there gives us the confidence to try new things, knowing that they're at the end of the phone to help us if we need it." If you'd like to talk to the team about your CRM requirements please leave your details here and someone will get back to you. It's that time of year again. Time for us to take a short break before a busy 2016. The CRM platform itself and all of your student-facing forms will continue to be available 24 hours a day throughout the holiday period. We'll be available to help you via our usual channels from 9.00am to 5.30pm. We'll be finishing a bit earlier, but please call VIP Support that morning up until 12:30pm for any urgent support matters. Friday 25 December 2015- Friday 2nd January 2015 - Closed. Normal Monday to Friday support hours will resume on Monday 4th January 2016. Remember, users can access our Help Centre 24 hours a day, 7 days a week. (If you'd like a demo of Student CRM for your university in 2015, please visit the demo page and we'll get back to you). Festive Greetings & a Happy New Year! Congratulations to our client Coventry University for being awarded 'University of the Year' at last week's Times Higher Education (THE) Awards. According to the judges, the University stood out for its student centred approach to learning, its efforts to make higher education more affordable and accessible; and the transformation in its research strategy. Other achievements which were highlighted included the substantial investment the university has made to improve facilities for staff and students, the work it is doing to regenerate a neglected area of Coventry city centre and its commitment to small and medium-sized enterprises in the city. This year’s UCISA CISG15 Annual Conference and Exhibition returns to the award winning Fairmont St Andrews Scotland from 11 November 2015 to 13 November 2015. This UCISA Corporate Information Systems Group (CISG) conference will be exploring the introduction of SaaS, the cloud as a platform, system and information security, supplier management, data and information security, research management, vendor and supplier management and business analysis. 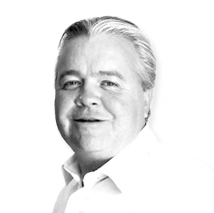 Data Harvesting’s Managing Director Mr Dominic A Yeadon will be at the Conference to meet both clients and partners. UK's Student CRM 100% OK - but what about data stored in USA's CRMs? Before you read on... your UK Student CRM data is 100% unaffected by this ruling because it has never been stored anywhere other than here in the UK. Our Student CRM SaaS platform is hosted right here in the UK, and this is where your data is stored. As required by UK and European Data Protection legislation. The Court of Justice declared that the Commission’s U.S. Safe Harbour Decision is invalid. Time to think again about USA's CRMs. If you use, or are considering using, an American-based CRM for your UK university, you might want to think again following a ruling today from the European Court of Justice (ECJ) on the EU-US Safe Harbor Framework. On 6 Oct 2015 the Court of Justice declared that the Commission’s U.S. Safe Harbour Decision is invalid. Originally thought to be as safe as the UK's Data Protection Act, the EU-US Safe Harbor Framework has just had a big hole punched in the side of it. 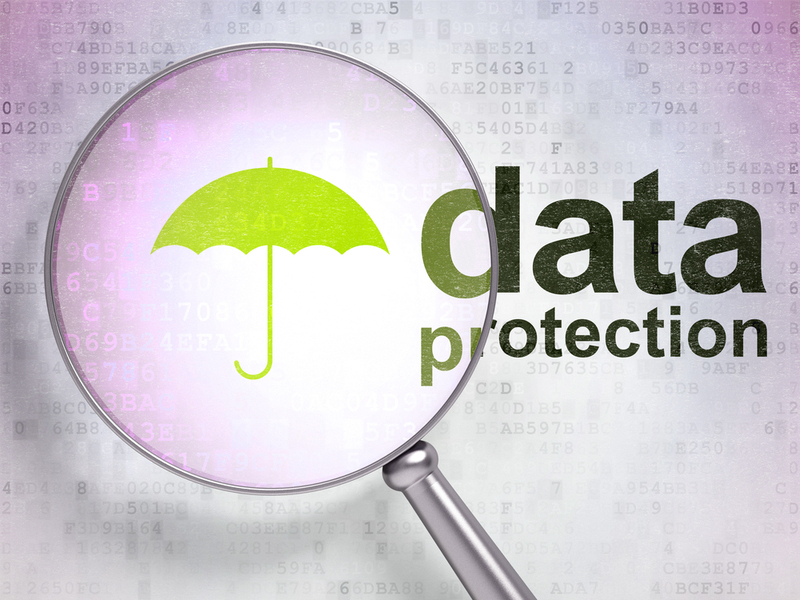 Be safe: how can you check where your CRM data is? Simply ask your existing (or potential) CRM provider whether their data storage is 100% here in the UK or in the USA? Even if only a fraction of it is in the USA? American CRM companies may well have UK offices and teams, but if their servers are in the USA then that is where your data is too. And, as of today, that is not a good thing. Student CRM by Data Harvesting - built in the UK for the UK's universities. When you host open day events with activities taking place at more than one campus, the new multi-location tool allows your team to specify the time it takes to travel between locations. Students booking a talk on Campus A that finishes at 13:00 can’t immediately attend a talk on Campus B that starts at 13:00 (15 minutes walk away). Which means if there’s not enough time for students to travel from one event location to another, the booking form tells them so and offers an alternative activity instead. This feature currently works with our Applicant Open Day app and our Pre-Applicant Open Day app and is proving to be hugely popular with open day events teams. Book a demo now and see how Student CRM can help you manage your open days. You are run off your feet at the moment. Students are making decisions, assessing the competition, attending open days and about to receive exam results. You know you need to make sure your university is at the forefront of their minds during this critical decision-making process and enhance your university's chances of being a top choice. You already know that more UK universities are using marketing automation features in Educational CRMs to lighten this heavy load. Did you know that Student CRM does all this and more for you? Using a multi-channelled approach to attract students' attention, Student CRM allows universities to pre-schedule workflows and touchpoints to continue marketing to them long after initial contact has been made. Ask us about recruiting more students today. Data Harvesting has used smartphone technology to create the new feature 'Mobile Entry Pass' which allows staff to register students on campus at open days. The Mobile Entry Pass option means that students are now sent a virtual ticket directly to their inbox. It has proven to be hugely popular with universities as students are now able to present unique barcodes on their smartphone screen which the welcoming team scan on arrival, so no need to rely on students to print personalised programmes, no bottlenecks and reduced queuing. "Microseconds count for digitally-savvy Generation Z students. The time saved when our universities scan and welcome students to open days using Mobile Entry Pass is critical. Gen Zs almost certainly have a smartphone in their hand, so it makes perfect sense to scan their personalised barcodes directly from their screens." The information gained by scanning the smartphones is loaded into Student CRM. All students who attended, as well as those who could not attend, are automatically followed up accordingly after the event to thank them for coming, or re-invited to another event. Contact us for more information about registering students using Mobile Entry Pass. Are you ready for the next academic year? Now is the time to add your new courses and change your templates to reflect the 2016 branding. This will ensure your marketing and touchpoints hit the spot for students looking to apply for the 2016 intake. Student CRM is designed to make preparing for recruitment of each year logical so your student facing forms are branded and ready to go for the next academic year. Our clever system will help ensure your data collection, applications and events are all set for the start of your next recruitment cycle. Just ask our team for more information on preparing your website and public-facing forms for 2016 and beyond. Here's to a great 2016 recruitment! Looking for a way to keep your HE and FE business contacts and employment partners up-to-date and informed in a central location, without juggling multiple spreadsheets or software? Student CRM is no longer just for students, but for your alumni, headteachers and suppliers too! You can manage individual relationships with your contacts as well as sending personalised SMS and email campaigns by segmenting key contact groups. Find all Headteachers in Manchester, with the tag 'top performer' and send a personalised email campaign to them in a few clicks. Send a personalised SMS to your 'class of 2013' alumni living in the UK. If you'd like a 3 month free trial of our popular Contact Manager just click the button below of call us on 01202 477855. All members of Data Harvesting attended the annual DH Data Protection and Data Security training course this week to ensure best practices for managing data. This ensures our whole team is kept up to date with procedures, policies and permissions to protect you, your university and your student data through the use of group training, questions & answers, role play and delicious cakes. All DHers are required to stay fully up to date with their skills and abilities in processing, managing, transferring and securing data. Every DHer passed with flying colours, ensuring that we can keep our clients and their data safe. Just ask us if you have any questions. Increase open rates and enhance your student engagement by using emojis in subject lines. There are 41.5 billion messages and 6 billion emojis, emoticons or stickers sent around the world every day and it is fast becoming a popular universal language. 80% of Brits now use these symbols to communicate. Universities can now communicate with students and increase email open rates by adding emojis to email subject lines from within Student CRM. So when you invite a student to an open day, or announce the launch of a new course or send a marketing email, why not add an emoji to stand out in their busy inbox and encourage them to open it? You can use emojis in subjects for both individual and bulk communications using our clever emoji keyboard. And they still look great on a desktop too. Click here to see if your computer or browser supports emojis. Unfortunately not all browsers are compatible with emojis yet. We're sure it's only a matter of time before they will. Universities can now benefit from a new call to action button to drive student traffic from their Facebook page to book onto their open days with Student CRM. A simple 'Book Now' button on your cover photo can convert your social media fans into open day bookings in just a couple of clicks. It works really well with our Pre-Applicant Open Day app, Applicant Open Day app and Event Manager app to increase your number of online bookings. With thousands of Facebook followers it makes sense to add the new button and watch your bookings and conversions increase. TIP: Theme your Facebook cover photo to promote your open day. Facebook will show you exactly how many clicks your button has received and if you have Google Analytics on your form, you can see how many form completions were referred by Facebook. 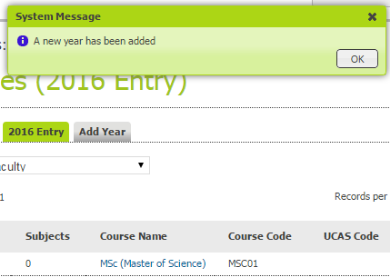 Another idea is to add a 'Contact Us' button and link to your Student CRM Enquiries form or Rapid Response form. If you'd like to know more about how Student CRM can enhance your student recruitment just use our online chat below to speak with one of our team of experts, or call us on 01202 477855. Congratulations to our client the University of Portsmouth who have climbed 6 places in The Guardian's 2016 University League Tables. The university has increased from position 55 in 2015 to position 49 in 2016, breaking into the UK's top 50. The University of Portsmouth also featured in the top 10 subject areas for Health Professions (4th) and Sport Science (6th). They've also been recognised as a top 10 modern university according to The Times and Sunday Times Good University Guide.